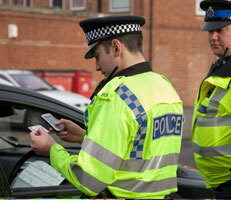 "The roll-out of mobile technology to police forces was achieved against a tight timescale and at reasonable cost. Too little consideration was given, however, to the need for the devices or how they would be used. In the majority of forces, the benefits have not so far extended beyond simply allowing officers to spend more time out of the station. "There is still the opportunity to achieve value for money, though, if more forces use the technology to improve the efficiency of their processes and make savings in their back-office activities." According to the National Audit Office, while in many forces mobile devices enable officers to spend more time out of their stations, cash savings have been limited and only one in five forces have used the devices effectively to improve their business and operational processes. The business case for the Mobile Information Programme, funded by the Home Office and managed by the National Policing Improvement Agency under the direction of a programme board, focused upon the swift delivery of mobile devices and, by December 2010, around 41,000 had been rolled out, considerably ahead of schedule. Although, in reality, the Agency cannot mandate forces and has little control over each force’s investment decision, not enough consideration was given to how forces would use the mobile technology, how much local spending was required or how realistic were the announced deadlines. The programme has not yet added the ability to check fingerprints to its mobile information devices. The programme has on average increased the visibility of police officers to the public and officers spend more time out of the station, an estimated 18 minutes a shift, although there is considerable variation. While the Mobile Information Programme did not explicitly set out to deliver cashable savings, these should have followed from objectives to reduce bureaucracy, increase efficiency and contribute to better policing. Of the 32 forces responding to an NAO survey, only ten claimed some form of cashable savings and these are relatively minor. However, some forces are predicting greater savings in the future, for example, by reducing control room costs. In some instances, process improvement aligned with the use of mobile technology is improving efficiency and reducing bureaucracy. Officers are using their devices to complete and submit crime and intelligence reports and less time is spent obtaining information from control rooms over their radios. However, 22 forces responding to the survey cited drawbacks with mobile technology projects. According to today’s report, the experience of implementing mobile technology reinforces the challenge of achieving convergence of ICT across 43 police forces, each with bespoke systems supporting individual business processes.